Utopian Is Heading To A New Great Change And Approach. Delegation Split Between Project Owners! 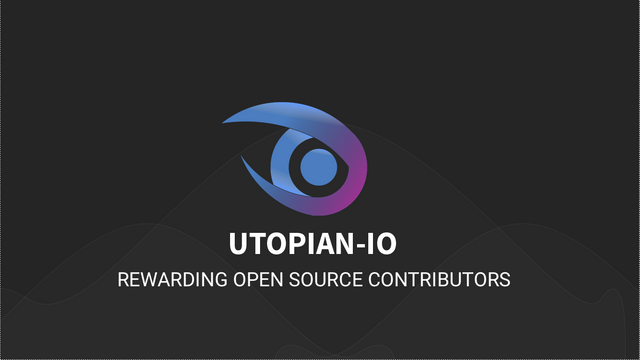 As you know you can delegate your voting power to @utopian-io or to any Open Source project on Utopian. The voting power can then be used by project owners to upvote their contributors and grow their projects. Delegation to projects will change completely. Only delegation to @utopian-io will be possible and the voting power split INTERNALLY. Practically project owners will be able to use the voting power dedicated to them, upvoting directly with the @utopian-io account. Sponsors (Delegators) will be able to decide how to split their voting power between different projects. If a sponsor does not do that, Utopian will decide how to split initially. If any voting power remains unused, this voting power will be used to upvote all the contributions not yet voted by the project owners. As a sponsor you could already decide to give your voting power to different projects on Utopian. The problem is most of the biggest delegators have already delegated their voting power to Utopian itself and it is hard to find other biggest delegators for the many projects. Instead of begging the biggest delegators to give their voting power to other projects, we will just use the voting power Utopian already has and split it internally. Sponsors may still want to decide how their voting power should be split but if that does not happen, Utopian will take over and moving the voting power to the different interesting projects looking for growth. Easy as a pie. Lets be honest, the bot is good when it is about distribution but it is not good when it is about judging quality. No algorithm will ever be able to judge a contribution better than the project owner. The more Utopian will grow the more likely the bot will disappear completely from the system. It is nice to see spontaneous contributions coming every day, even when project owners did not request for them, but this is not how Utopian is meant to work at the end. Project owners can use task requests to crowdsource their project by asking contributors for specific tasks to do. The task requests are not yet much used in Utopian and the reason for this is that project owners do not have enough voting power to fairly reward their contributors. By splitting the delegation given to Utopian internally, project owners will have much more voting power they can use and most likely they will be very happy to use the task requests. Contributions will be focused on what the project owners want. The rewards are decided by humans and not by a bot and no one is better than project owners to decide what is a quality contribution. Spontaneous contributions will still be voted with the unused voting power, but there are way more possibilities for them to be voted by project owners directly, since project owners will use Utopian more actively. Moderation now is cross-site. This is another important thing we will change in the future. We will still have cross-site moderators, but project owners can pick their own moderators. If a contribution is not being reviewed by the moderators of the project, a cross-site moderator will take over. Rules will still be applied but only as a general draft project based moderators should use when approving or rejecting a contribution. The delegation internal split will happen in few days. The new project based moderation will be ready by no longer than 1 month. Sponsors will decide how to split their own delegation to different projects, but from the very first day Utopian will already decide the first split. Sponsors will then be able to change the split if they wish to do so. - Busy.org by @busy.org will be given 500K. Busy will be able to generate more than $700 rewards a day. - Minecolonies by @reggaemuffin will be given at least 150K. Minecolonies will be able to generate more than $250 rewards a day. - Vessel from @jesta will be given 200K. Vessel will be able to generate more than $340 rewards a day. - Esteem by @good-karma will be given 300K. Esteem will be able to generate more than $500 rewards a day. Other projects will be given the initial delegation split. Please if you run a project and you want to receive the first delegation split get in touch with us on Discord. WAIT FOR IT! THE NEW DELEGATION SPLIT WILL BE READY IN FEW DAYS! I would really love to know how this works from the perspective of someone like me who is potentially interested in delegating my SP. Can someone explain it to me? This is a great project, but the explanations are extremely difficult to understand. I love how democratized the system will be. Sponsors will be free to choose projects to support and it introduces a new element: projects owners will be incentivized to do their best work and attract sponsors. No algorithm will ever be able to judge a contribution better than the project owner. @eastmael - i will need your help moving my project forward :D so far all my project lack are capable developers. i have tons of designers already. Hello Dev, sorry just saw this. This is noted. If you have issues registered on github, I can look and work on them . Just split them into small chunks of tasks so that I can work on them rapidly. Thanks for sharing, seems like a great project and angle. As one of your sponsor, excellent decision. We have option to select the projects that we need to support. This is a great move. I strongly agree with this policy, that utopian projects can be more successful. Hi @utopian i have voted you for witness what next? To be on the moderators list or. What ever. I just need guild line and tips on how to start on utopian.io . I visited the site but dont see where to sign up. Excellent step in the right direction. Thanks for such a nice work @utopian-io. Are utopian projects limited to Steem related stuff? I have an open source computer forensics project (MattockFS) that started as a spin off of my M.Sc project. A project that I would love to try and turn into a community effort. Would utopian be a place for something like that?